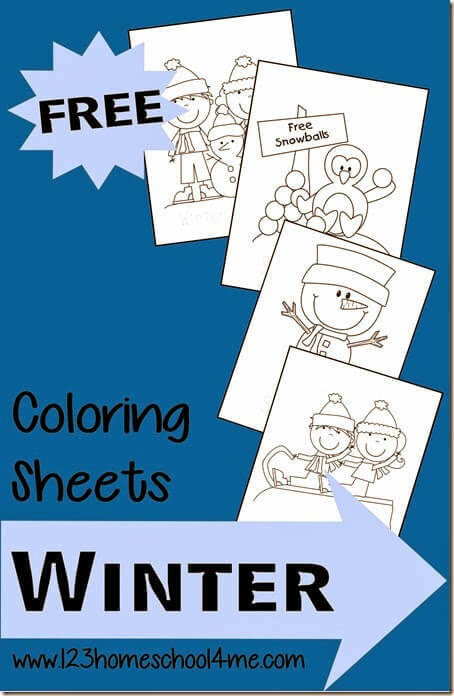 These free winter themed coloring pages are perfect for toddler, preschool, and kindergarten age children during the month of January. These simple coloring pages are a perfect theme for toddlers, preschool, or kindergartners. They include large animal to color and the word to trace below it. If you have older children don’t miss my Winter themed Creative Writing Prompts.